After Verner Panton designed the chair for the 430 series in 1967, the matching table inevitably followed. Unlike Panton’s usual designs, the table had four legs, like the chair. The successful danish designer is renowned for his extravagant furniture, usually dispensed with the classic four-legged stand. 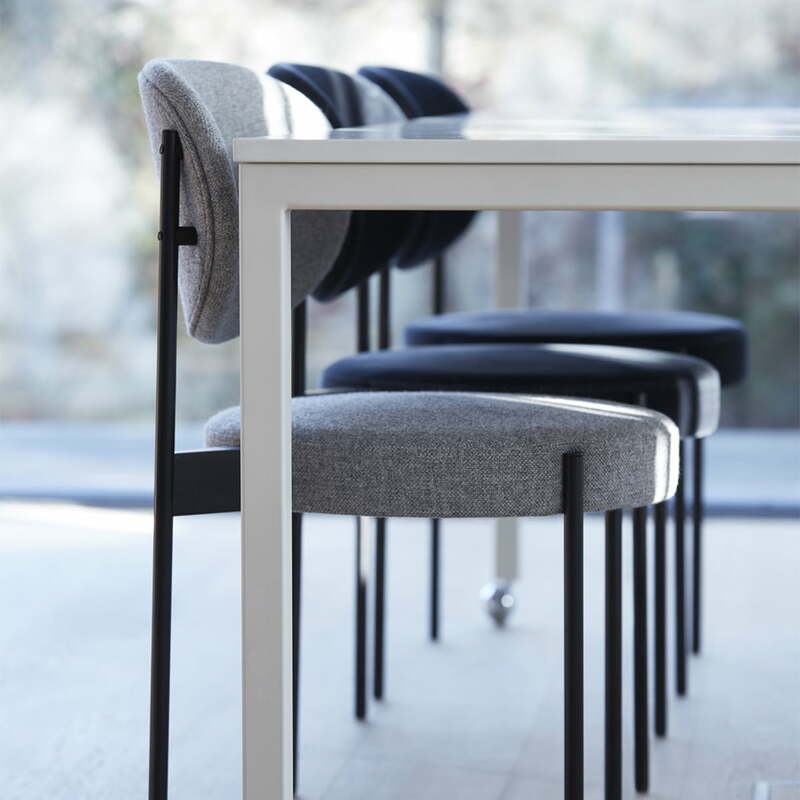 For the 430 series, he decided to do things differently: The legs are slim and elegant so that they complement the table without being the centre of attention. Panton designed a round table with a diameter of 120 cm that seats up to six people. 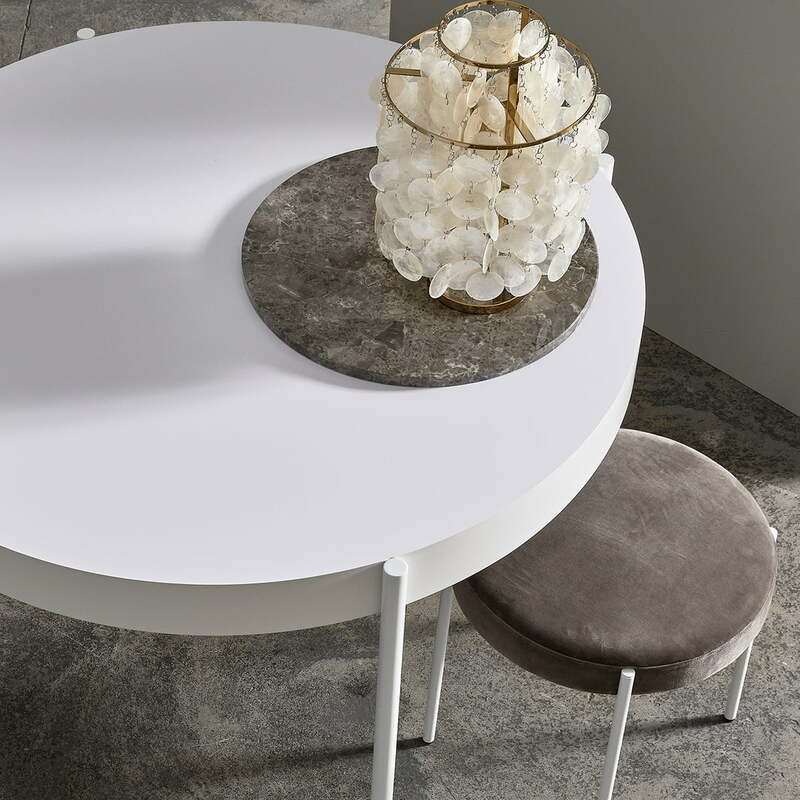 Moreover, the delicate legs are incorporated in a remarkable way: Fixed to the outside of the table frame, the placement of the legs is load-bearing and enhances the appearance of the table in a special way, setting it apart from other round tables. The 430 table by Verpan consists of a laminated table top and a frame made of powder-coated stainless steel. 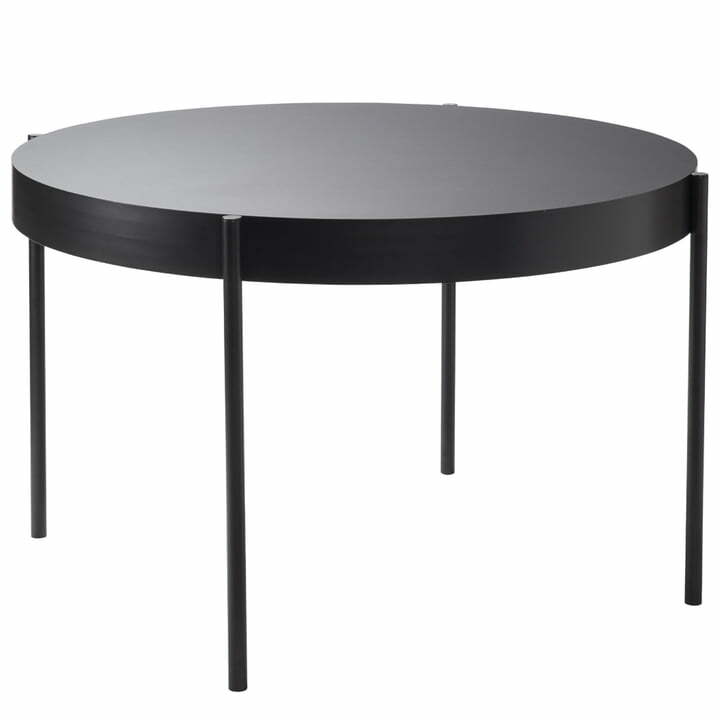 Isolated product image of the Verpan - table 430, Ø 120 cm, black. 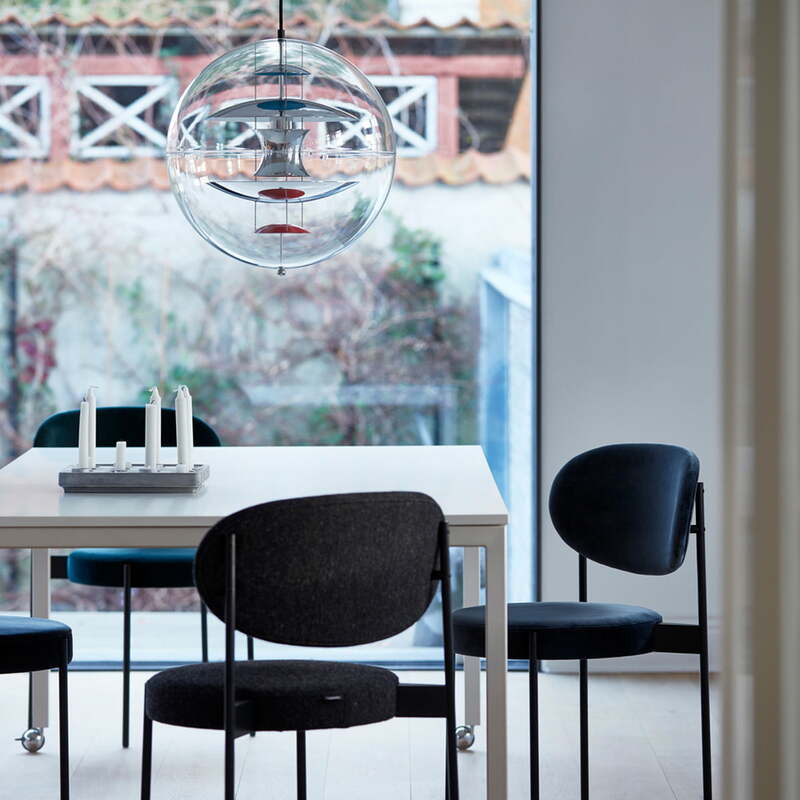 The round table 430 by Verner Panton for Verpan is characterised by its narrow and elegant legs, which give the table a special look. Lifestyle product image of the Verpan products. The product by Verpan harmonises perfectly with one another and enhances every environment visually and atmospherically. Lifestyle product image of the Verpan Chair and Table 430. Both pieces of furniture harmonize perfectly with each other and provide a homely atmosphere in any room. 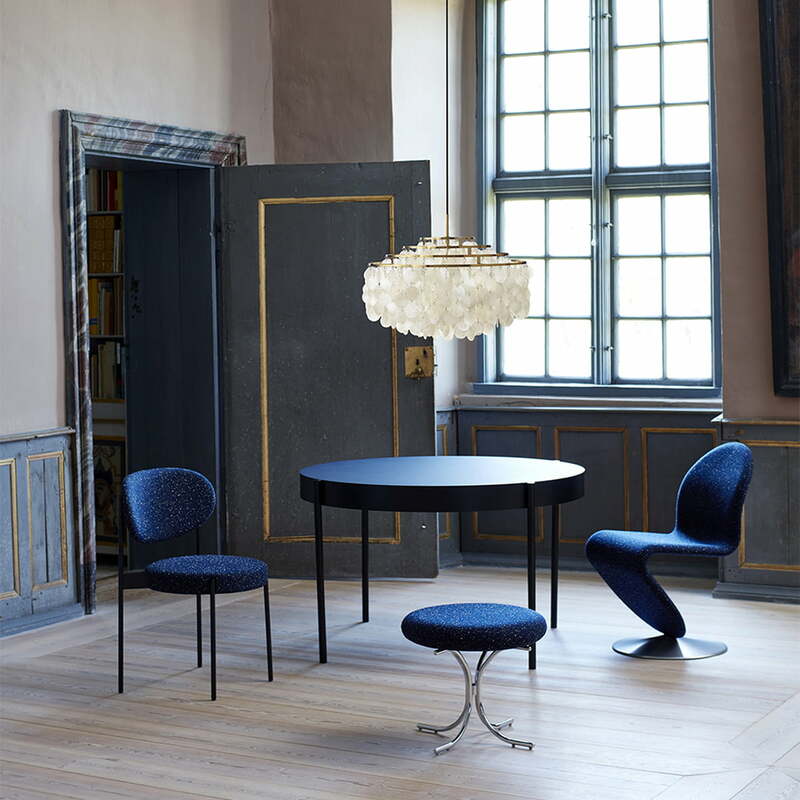 Lifestyle product image of the Verpan chair and table 430 designed by Verner Panton. The series 430 looks great in the home office or conference room. 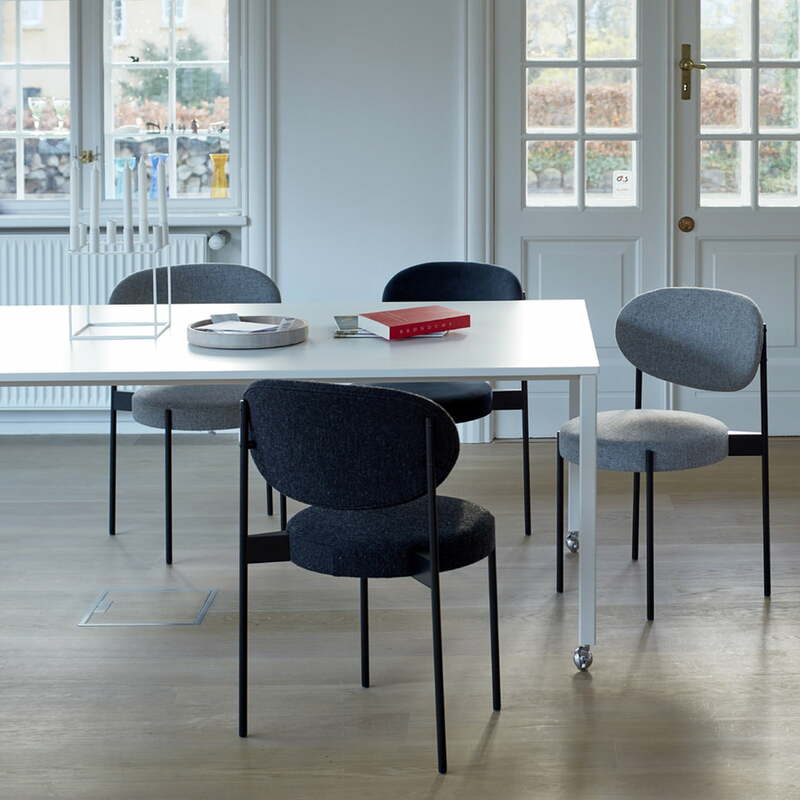 Lifestyle product image of the Verpan chair and table 430 designed by Verner Panton. Available in multiple varieties, every model can be combined wonderfully together. Lifestyle product image of the Verpan Chair and Table 430. 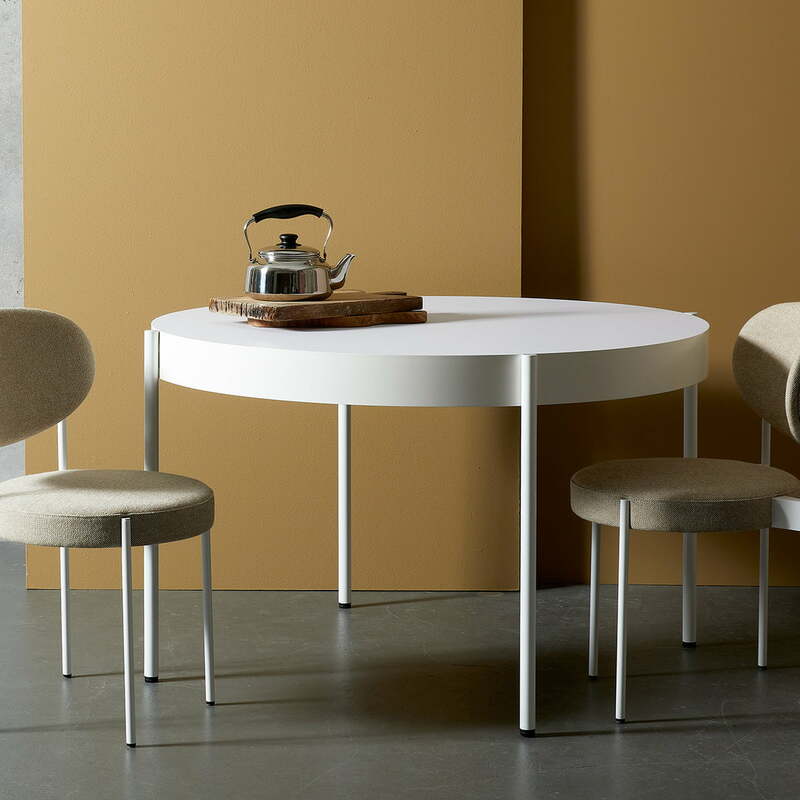 The 430 result tables and chairs from the series combined form an elegant and modern ensemble. Lifestyle product image of the Verpan Chair and Table 430. 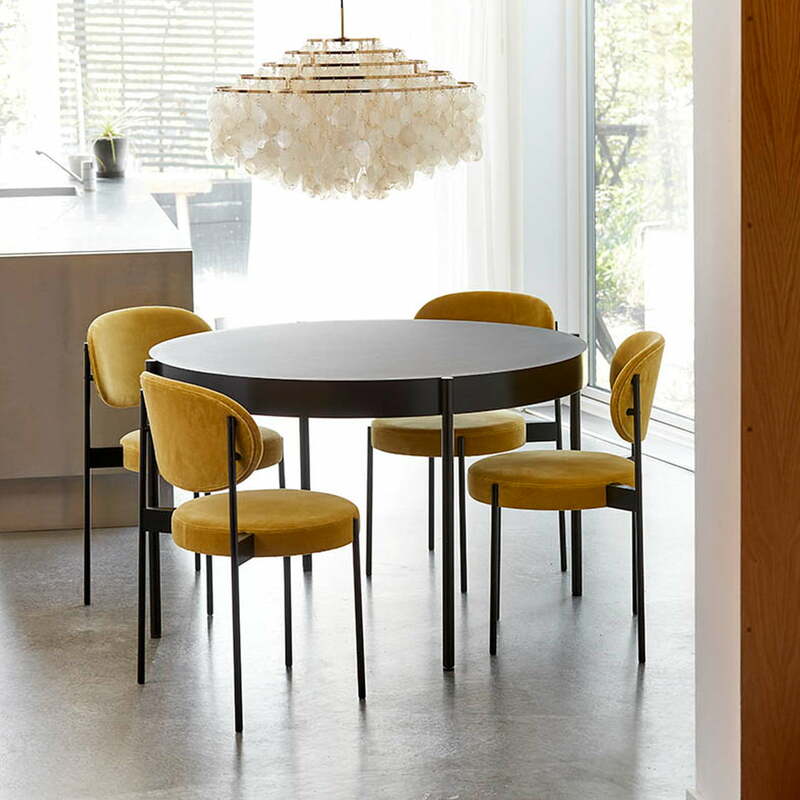 The products from Verner Panton harmonise perfectly with each other and together form a stylish dining area. Lifestyle product image of the Verpan Chair and Table 430. The piece of furniture from the 430 series can be excellently combined with a wide range of other Verpan products. Lifestyle product image of the Verpan - Table 430 with matching chairs. The 430 series is characterised by narrow legs, as well as soft, round shapes.